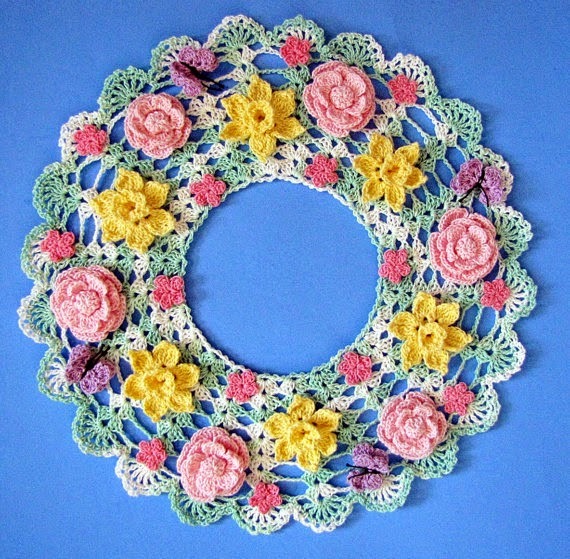 I will be the first to admit, I have never met a doily I didn't like. 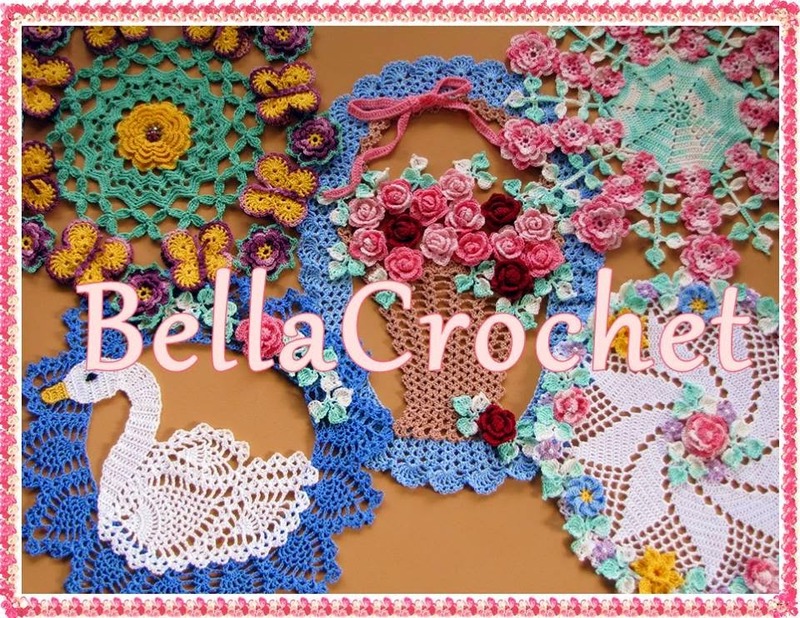 But, there is just something about the combination of crocheted flowers and delicate crocheted lace worked in bright, vivid colors that I find irresistible. It is a theme I return to again and again, and never grow tired of. And so, I am pleased to announce the release of my newest pattern set, ‘More Vintage Floral Doilies.’ In my opinion, this is the prettiest set of doilies I have ever done. In addition, as my thank you gift for purchasing this set you will also receive a copy of ‘Belle in the Rose Garden, which features a charming Crinoline lady peeking shyly over her fan as she offers a dainty rosebud from her garden. You will also receive a copy of my Eyelet Foundation Tutorial, since it is used in some of the patterns. 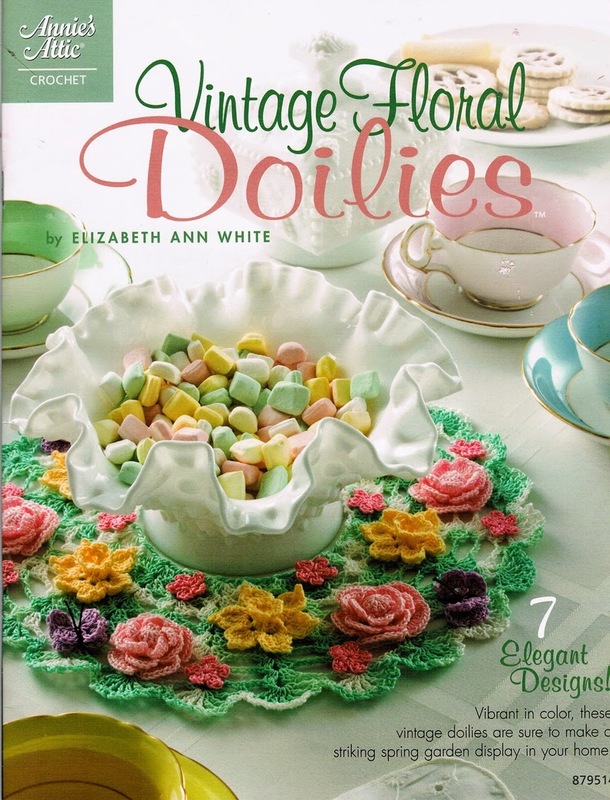 You will receive a copy of my original pattern set “Vintage Floral Doilies.” This pattern set was published by Annie’s Attic in 2009, but the publishing rights have now reverted back to me. You will receive my original versions of the patterns, so they are written differently from the ones published by AA (but they are the same designs.) The photos are also mine, so they will be different as well. I have had my version of the patterns checked by my excellent testers to make them as easy to work and as error free as possible. I have that pattern book from Annie's Attic! Love the designs, especially the Springtime Candle Mat.